Business owners who have had physical storefronts for years know the complexity of getting a new venture off the ground. Developing an online presence can be just as challenging, but some merchants take for granted the work needed to launch a professional and reputable online store. Below is a broad look at the important factors business owners should account for when planning a new e-commerce outlet. As with anything in the business world, professional consultation can provide a much-needed leg up in the development of an e-commerce presence. Several different factors go into building an internet business – creating the actual web page, finding the right software to manage the site and installing critical elements such as a credit card payment processor. Business owners could turn to a web-savvy friend or relative for advice, but they may not have the expertise to deal with the challenges of a successful launch. Expert consultation is often the best way to go when getting started for the first time. Internet websites need a few key nuts and bolts to stay operational. That includes a web hosting service, quality website design and e-commerce programs that will help owners display products for sale, track inventory and manage marketing. Each of these matters requires dedicated technical expertise, so it's wise to seek out professionals that offer consultative services targeted toward internet start-ups. An e-commerce platform is supposed to be a revenue generator, but a website won't make any money if it isn't outfitted with the right tools. 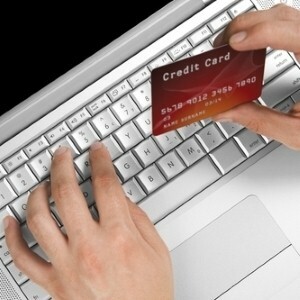 Sites will need a way to accept credit cards online and backing from a financial institution. The latter could be especially tricky to secure when businesses operate on a risky model. Expert advisers may be able to point out effective solutions to financial challenges, such as offshore merchant accounts for clients whose business cannot find financing at domestic banks.